Strict Calvinist Upbringing in Scotland. Carlyle was born on December 4, 1795, in the Scottish village of Ecclefechan to James and Margaret Aitken Carlyle. His father, who was a stonemason and later a farmer, instilled Scottish Calvinist principles of self-denial and hard work into his large family. Carlyle attended Annan Academy from 1806 to 1809 and Edinburgh University from 1809 to 1814, but left the university without taking a degree. His parents hoped that he would become a clergyman, but he was already dreaming of literary fame and started his literary career by translating and by writing reviews and encyclopedia articles. In 1823 the London Magazine asked Carlyle to write a short biographical sketch of German poet and dramatist Friedrich Schiller; the essay expanded during the writing to book length and became Carlyle’s first literary biography. In 1824 Carlyle visited London for the first time. He stayed with his friend Edward Irving, who introduced him to London literary society; among those Carlyle met was Samuel Taylor Coleridge. In 1821 he had met Jane Baillie Welsh, an ambitious and witty daughter of a doctor. They married on October 17, 1826, much to her family’s dismay. In 1828 Carlyle and his wife moved to Craigenputtoch, an isolated farm. Friendship with Emerson. In August 1833 Ralph Waldo Emerson visited Carlyle at Craigenputtoch. Their friendship, conducted mostly by mail over the years, was beneficial for Carlyle: Emerson convinced a Boston publisher to publish Sartor Resartus in book form in 1836 (it did not appear in that form in England until 1838), funded the 1838 American edition of Carlyle’s The French Revolution (published in England in 1837), and introduced Henry David Thoreau to Carlyle’s works and, in turn, Carlyle to Walt Whitman’s. Literary Circles and Biography Subjects. During the late 1830s and early 1840s Carlyle formed friendships with members of a new generation of writers, including Robert Browning, Alfred Tennyson, Charles Dickens, Richard Monckton Milnes, John Forster, William Makepeace Thackeray, and Edward FitzGerald. He planned a biography of Oliver Cromwell, the seventeenth-century Puritan leader who ruled England as a commonwealth after the English Civil War, during its period without a recognized king. However, the work stagnated and he decided instead to edit Cromwell’s letters and speeches and let Cromwell speak for himself. The edition was published in 1845-1846. In 1851 Carlyle began studying the life of Frederick the Great; in 1852 he traveled to Germany to continue his research. The first two volumes of the History of Friedrich II of Prussia, called Frederick the Great, were not published until 1858; Carlyle in the meantime had struggled with problems with sources, his own lack of enthusiasm about the project, and sorrow over his mother’s death. In 1858 Carlyle traveled to Germany again, visiting battlefields to gather material for the remaining four volumes. It took seven more years, however, for Carlyle to finish the work. In 1865 Carlyle was elected rector by the students of the University of Edinburgh, and on April 2, 1866, he delivered an inaugural address. While he was polishing the speech for publication, he received word that his wife had died. In 1868 Carlyle, with the help of his niece, Mary Aitken, organized Jane’s letters, which he considered evidence of her brilliance; he also wrote annotations for a biography of her. By 1871 Carlyle wrote only by dictation to Aitken. In the winter of 1871-72 he dictated a history of the early kings of Norway, in which he found new heroes in Olaf Tryggveson, King Olaf the Saint, and Magnus the Good. Carlyle died in his sleep on February 5, 1881. He was buried in Ecclefechan. Carlyle was one of the most influential figures of the Victorian age; his attitudes affected a wide audience, particularly the writers of his day. His convictions that modern life was too ‘‘mechanical’’ and analytical, that greed and selfishness had replaced feelings of blessedness and brotherhood, and that spiritual rebirth was needed to bring coherence to modern life drew many to regard him with awe and reverence. Queen Victoria (1819-1901): Queen of England, and the person for whom the Victorian age was named. Charles Dickens (1812-1870): British novelist of classics such as David Copperfield and Great Expectations. Ralph Waldo Emerson (1803-1882): American writer and philosopher who led the transcendentalist movement. Charles Darwin (1809-1882): naturalist and scientist credited with popularizing the concept of natural selection in his book On the Origin of Species. Elizabeth Gaskell (1810-1865): British novelist and biographer of Charlotte Bronte. Carlyle’s contributions to literary biography are both theoretical and practical. ‘‘Man is,’’ he says in ‘‘Biography,’’ ‘‘properly the only object that interests man.’’ The boundaries separating history, biography, literature, and social criticism are not rigid for Carlyle: In a sense all his works are a nineteenth-century epic poem. To him, history is a procession of great men rather than the interplay of economic, political, and social forces, and a good biography portrays both the character of the subject and the times in which he lived. Radical and Experimental Format. Sartor Resartus is in some ways a baffling work: Genuinely original in form and content, it combines biography, autobiography, essay, and political commentary with a layered structure and avoidance of final meaning which makes it seem well in advance of its time. It purportedly tells the story of a German academic (Teufelsdröckh or German for ‘‘Devil’s Excrement’’) who travels a path from struggling beginning and self-doubt to awakening sensitivity to a supernaturally alive universe. Heroes and Biographies. After Sartor Resartus, Carlyle moved to London and began work on The French Revolution. While modern historians dispute the objectivity of Carlyle’s view on the French Revolution, his carefully researched and vividly imagined work is a powerful evocation of what happens to a morally corrupt monarch and the accompanying abuse of social privilege and human exploitation. This method of scrupulous research and personal engagement with the subject helped establish Carlyle as a historian whose power was not just to recreate the past but also to use his historical works to disturb the present. By the early 1840s Carlyle’s works were selling well, and each new book conveyed an original mind at the peak of its powers. Oliver Cromwell’s Letters and Speeches—two volumes (1845) and a supplement (1846)—is a case in point. The English Civil War fascinated Carlyle for decades, and the personality of its great hero (and he certainly saw the Protector in this light, as the strong leader who saved the country from collapsing into anarchy) gave him the focus for a historical work which blends narrative with letters and documents of the period and intersperses all with the author’s addresses to the figures he treats, especially Cromwell. In the early 1850s Carlyle began working in earnest on his monumental history of Frederick the Great of Prussia. He, like Cromwell, was a ruler who earned Carlyle’s approval for a job well done. Like Cromwell, too, he violated most of the civilized rules of freedom and justice to keep the machine of society running. The end, for Carlyle as for Frederick, clearly justified the means. The Armies of the Night (1968), a book by Norman Mailer. This Pulitzer Prize-winning book, about the 1967 march on the Pentagon to protest the Vietnam war, helped create a new type of nonfiction novel. 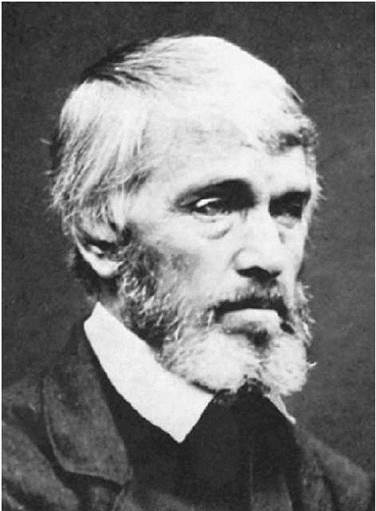 Thomas Carlyle was an extremely long-lived Victorian author. He was also highly controversial, variously regarded as sage and impious, a moral leader, a moral desperado, a radical, a conservative, and a Christian. In the later twentieth century he was still far from being understood by a generation of critics awakening to his pivotal place in nineteenth-century Britain. He is coming to be seen as innovator and survivor, a man born in the eighteenth century who lived through most of the nineteenth, whose early work predated Victoria’s reign, and whose longevity almost matched his monarch’s. Alive, he was an enigma; dead, he remains a problematic figure for the literary historian as well as for the critic. Sartor Resartus. Carlyle’s first major piece was a radical, nontraditional blend of fiction, biography, and political commentary rendered in both a serious and farcical tone. Perhaps due to its highly original content, Sartor Resartus is not easily understood. (Carlyle included comments from puzzled readers in later editions of the book.) His wife, Jane Carlyle, a perceptive voice among early readers, pronounced it ‘‘a work of genius,’’ however, and others took it as such (notably, the American poet and essayist Ralph Waldo Emerson). Although it no longer provokes the shock and confusion it did upon publication, Sartor Resartus remains a difficult book and has lacked the critical attention it perhaps deserves. The French Revolution The appearance of the three volumes of The French Revolution in 1837 better acquainted readers with Carlyle’s passionate style and his passionate belief in the need for society’s rebirth, so that the seriousness of Sartor Resartus was more readily received, and now it is taken for a masterpiece, and rightly. While historians today have discredited much of the emphasis and interpretation Carlyle gave history in the volumes on France (and in the later works on Oliver Cromwell and Frederick the Great), few deny the power of Carlyle’s view of the revolution. The historical research and annotation bespeak careful preparation, and the artistic impulse behind the finished work orders and selects, to orchestrate a pattern clearly of the author’s choosing and to highlight his message of the inevitability of revolution in a France rotten with abused social privilege, skeptical freethinking, and human exploitation. Legacy Several works published after Carlyle’s death had a profound effect on his reputation. His confidant and executor was James Anthony Froude, a young historian and longtime admirer of Carlyle to whom his literary remains and papers were entrusted. Froude took his position seriously and was hard at work on biographical materials long before Carlyle’s death. Hence the Reminiscences appeared soon after Carlyle’s death, followed by four magnificent but badly flawed volumes of biography by Froude (1882, 1884) and Letters and Memorials of Jane Welsh Carlyle (1883), which had been partly annotated by Carlyle in the 1860s and 1870s. The effect of Froude’s work in the years following Carlyle’s death was extraordinary. Almost overnight, it seemed, Carlyle plunged from his position as Sage of Chelsea and Grand Old Victorian to the object of puzzled dislike, or even of revulsion, due to the image of the writer that emerged in personal writings selected by Froude. 1. Choose one incident from Carlyle’s The French Revolution and research other accounts of the historical event. Look for places where Carlyle’s account differs from other sources. How do you think Carlyle shaped his work to comment on the events of his time? Why do you think he did so? 2. Carlyle belongs in the literary period called ‘‘the Victorian age.’’ Research Queen Victoria, and suggest three ways her political reign influenced the literature of the time. 3. Carlyle was much influenced by concept of heroes, both historical and literary. Research how our concept of heroes has changed over time. Consider some of the heroes Carlyle writes about in On Heroes, Hero-Worship & the Heroic in History. Compare these to modern examples of heroes. How are they similar? How are they different? 4. Carlyle believed it was important to imagine the historical details as vividly as possible and would visit battlefields and historic sites in order to get the details right. Is this an important, integral part of good historical scholarship or does it sacrifice objectivity by creating a personal connection between author and subject? ________. Thomas Carlyle, A History of His Life in London, 1834—1881. 2 volumes, London: Longmans, Green, 1884. Tennyson, G. B. Sartor Called Resartus: The Genesis, Structure, and Style of Thomas Carlyle’s First Major Work. Princeton, N.J.: Princeton University Press, 1966. Gursten, Rochell. ‘‘The Case of Thomas Carlyle’’. American Scholar Summer, volume 70, (2001). Treadwell, James. ‘‘‘Sartor Resartus’ and the work of writing.’’ Essays in Criticism, July 1998.